To an outsider business travel looks like a dream job and a 1-way ticket out of the 9 to 5 routine. But realistically it’s not all its worked up to be. With constant high performance demands, hectic schedules, stressful meetings and sleepless late nights. 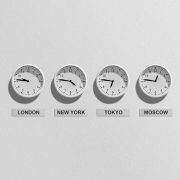 As an event manager, business travel fatigue is something we have to overcome regularly; from international flights and 16-hour event days, to regular business meetings back and forth across time zones. There’s only one thing an event manager dislikes more than a delayed flight and that’s feeling ordinary when you commence work at the final destination thanks to jet-lag. Seasoned business traveller and Managing Director of Cornerstone Events, Natalie Brumniach, gives us her inside tips on how to cope with travel fatigue and actually getting some sleep on those long-haul business trips.